authorities. The memorandum was officially concluded during a visit from the Czech Prime Minister Bohuslav Sobotka, Minister of Commerce and Industry Jan Mládek and District Governor of Hradec Králové, Lubomír Franc. By 2018, ŠKODA will have created up to 1,300 new jobs and increased production capacity up to 280,000 vehicles per year at the Kvasiny plant. The company plans to invest around 7.2-billion CZK into the site over the next three years. At the same time, the Czech state and the Hradec Králové region will be making investments into the public infrastructure and improving education and health in the city and region. This agreement clearly underlines the vital importance of the Kvasiny automotive site for the Czech economy. 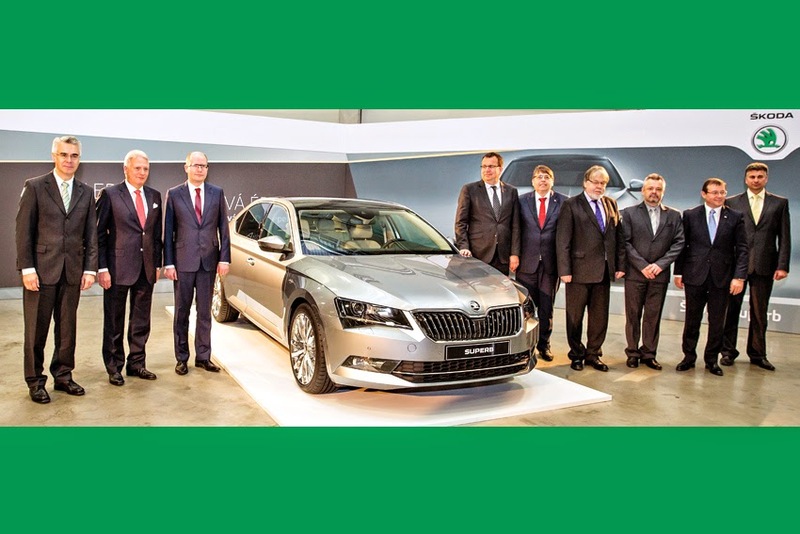 On behalf of Skoda, CEO Prof. Dr. h.c. Winfried Vahland and HR Director Bohdan Wojnar signed the agreement, and Prime Minister Bohuslav Sobotka and District Governor Lubomír Franc signed on behalf of the Czech state. Alongside the Skoda Board Members, visiting the site were high-ranking politicians including the town mayors from Kvasiny, Solnice and Rychnov nad Kněžnou, as well as the KOVO union represented by Union Chief Jaroslav Povšík. "As an important cornerstone of Skoda production network, the Kvasiny plant makes a vital contribution to Skoda's growth strategy," said CEO Prof. Dr. hc Winfried Vahland. "Over the coming years, Skoda will be expanding further in this location, and the company plans to invest more than seven-billion crowns by 2018. Before then, Kvasiny will be experiencing the most comprehensive modernization and expansion in its 81-year history. The agreement concluded with Prime Minister Sobotka and the Czech authorities guarantees significantly improved conditions. We are delighted with the planned infrastructure measures, which will give the whole Hradec Králové region a strong boost." During the visit, Czech Prime Minister Bohuslav Sobotka highlighted the importance of stability and social dialogue for the development of the factory and the region - "I am delighted that the government is fulfilling their commitment to attract new investments and generate employment. This new investment in Kvasiny is extremely important, as 1,300 new jobs will be created, and it is expected that an additional 400 new jobs will be created at Skoda Auto's subcontractors in the region." "Skoda Auto's investment in Kvasiny is the second largest investment in the current government's term of office. This underlines their importance. I am also very positive about the fact that Skoda is showing a great deal of social responsibility in the Hradec Králové region with this investment. The government funding totalling two-billion crowns is not credited directly to the client's account, but rather benefits the infrastructure of the district in developing Kvasiny's industrial zone," said Jan Mládek, Commerce and Industry Minister of the Czech Republic.